Trying to build your first child’s nursery is no easy task. There are so many things to buy from the crib to the change table to a rocking chair and more. But nursery building can be less overwhelming when you start small first, such as with a laundry hamper. You’ll want a laundry hamper that’s lightweight and small so it doesn’t take up lots of room. 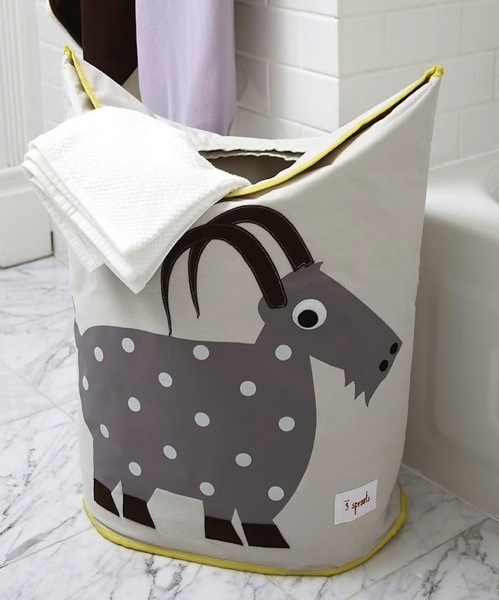 We happened to stumble across the 3 Sprouts Laundry Hamper, the ‘Grey Goat’ model and it has worked just fine. It has a small foot print, built in handles and the flaps form a small opening for those dirty clothes to fall in, held together with a magnets. If we were to do it all over again, we’d still buy this stylish hamper. May fall over when empty (but we haven’t had any issues). You can buy the 3 Sprouts Laundry Hamper here: Amazon.ca or Amazon.com for under $24.